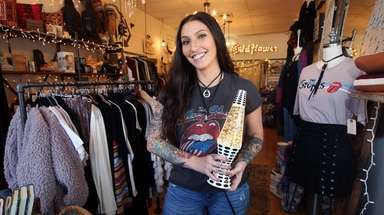 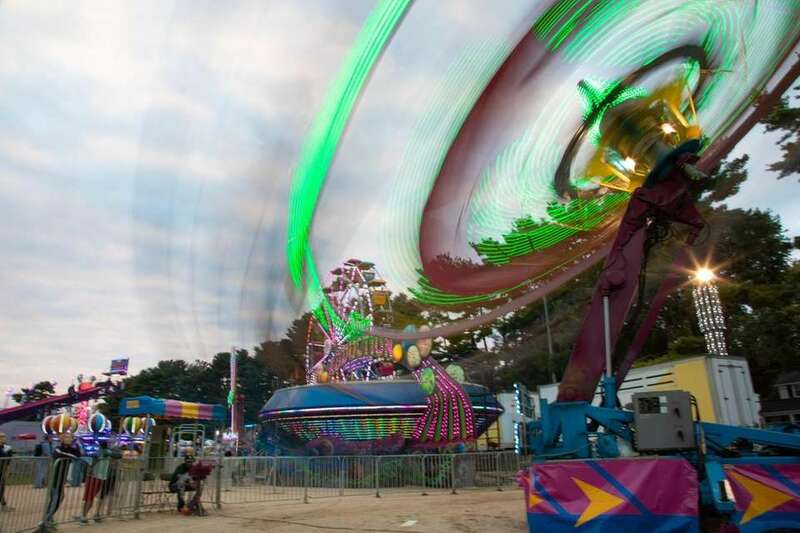 The Long Island Fall Festival runs Oct. 5-8 in Huntington. 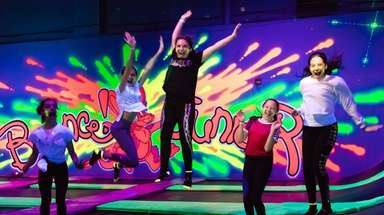 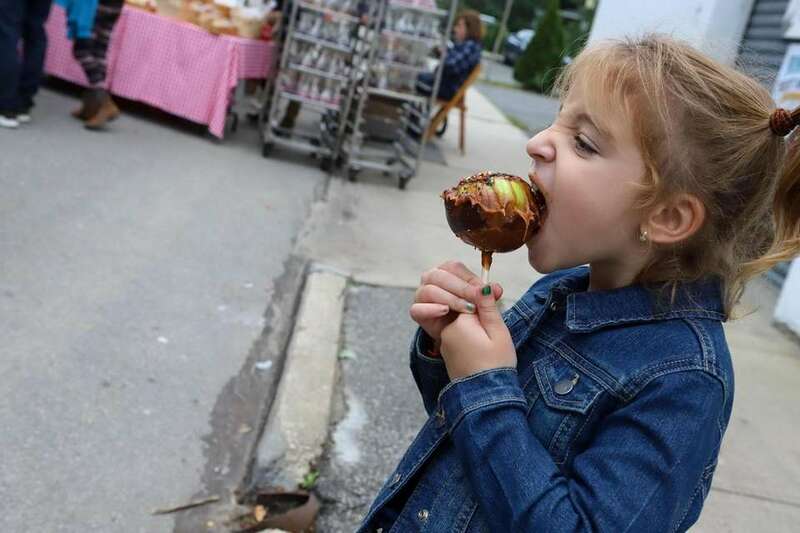 Here are highlights of the rides, food, entertainment and more. 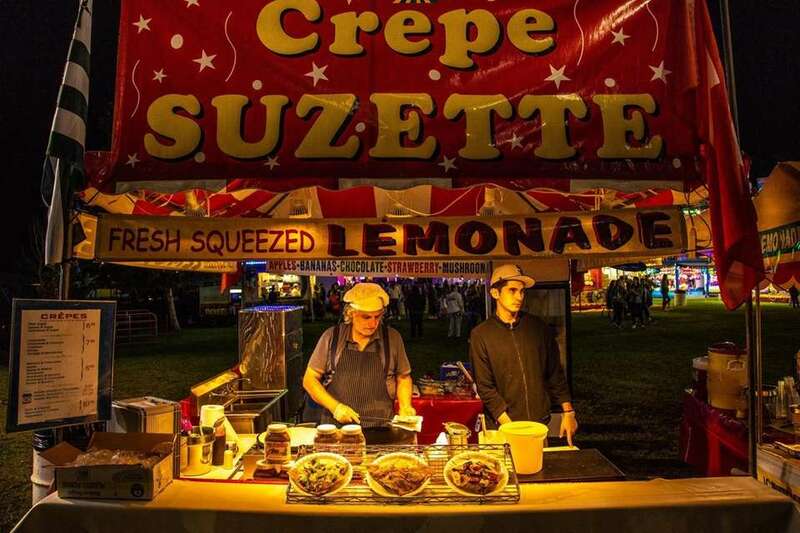 Serving up crepes at the crepe booth on Friday. 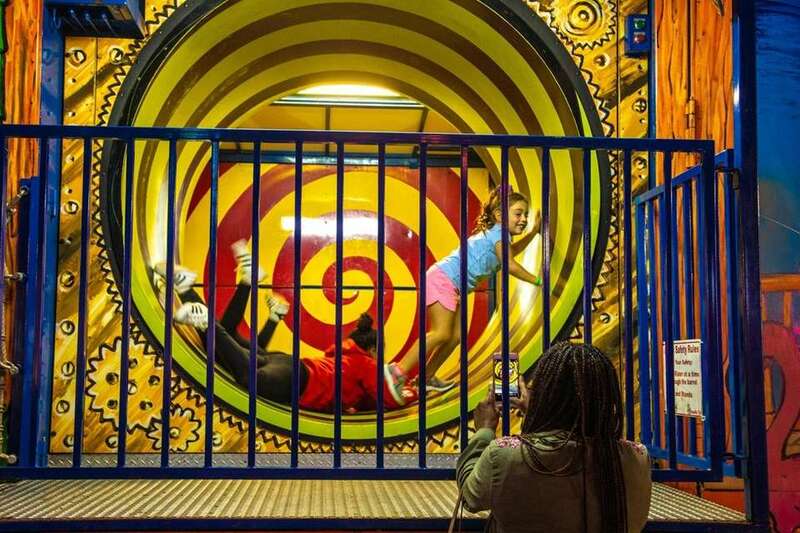 Kids enjoy a carnival ride at the Long Island Fall Festival in Huntington on Friday night. 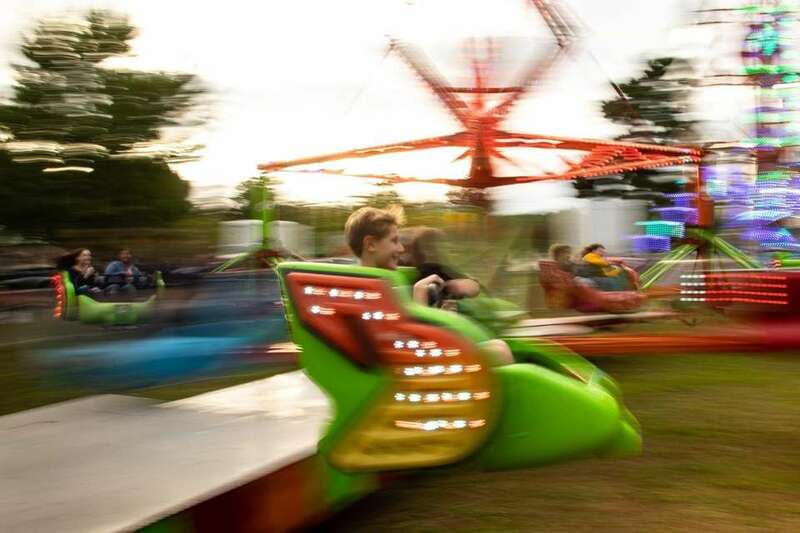 Rides were in full swing at the fall festival on Friday night. 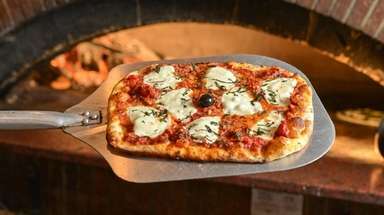 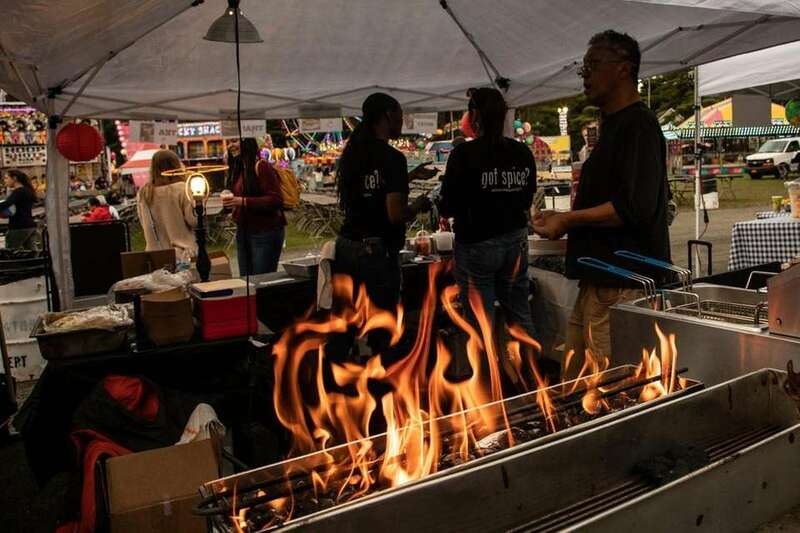 A food vendor fires up the coals, getting ready to feed the crowds at the festival on Friday night. 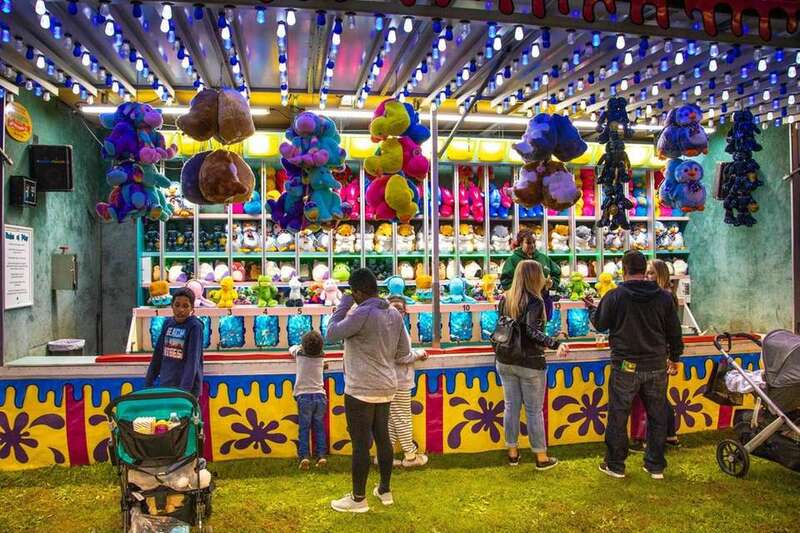 Toss the softball in the red bucket and you win a stuffed animal! 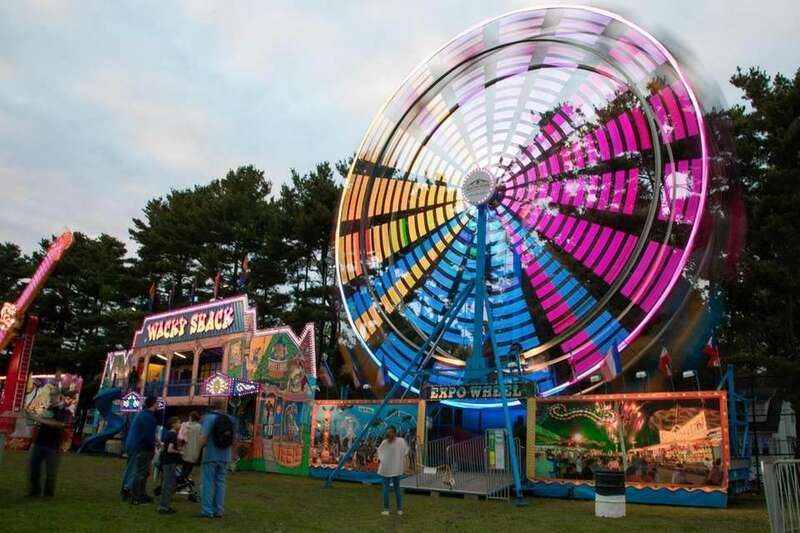 Rides put on a colorful light show at the fall festival on Friday night. 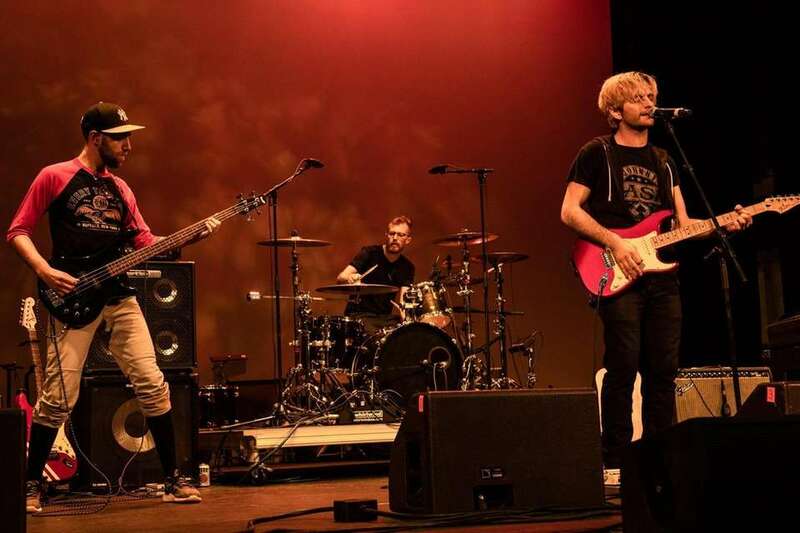 The band Accept the Wind performs on Friday night. 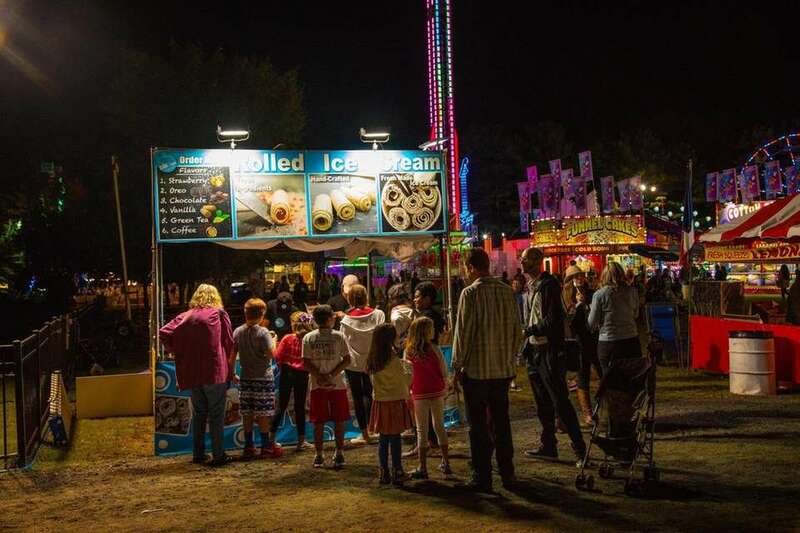 Festivalgoers wait their turn to buy Rolled Ice Cream at the festival on Friday night. 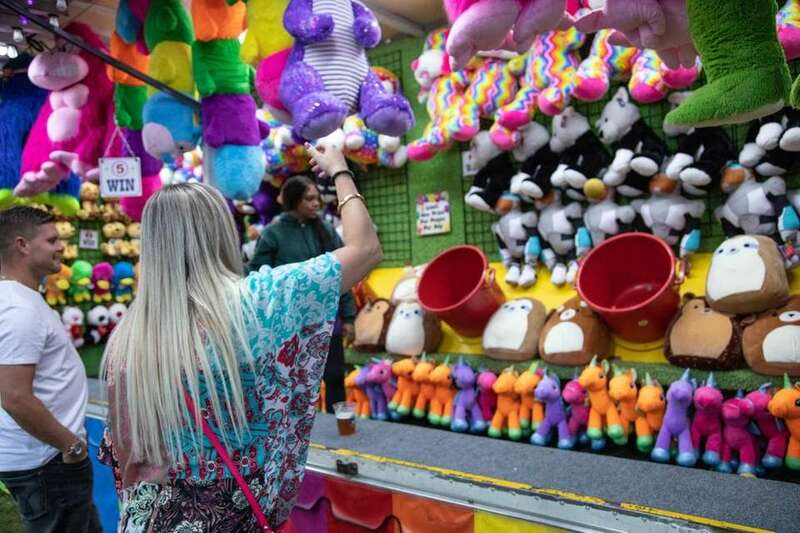 Colorful stuffed animals entice participants at one of the festival's midway games on Friday night. 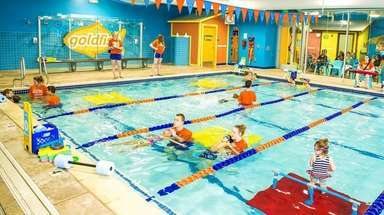 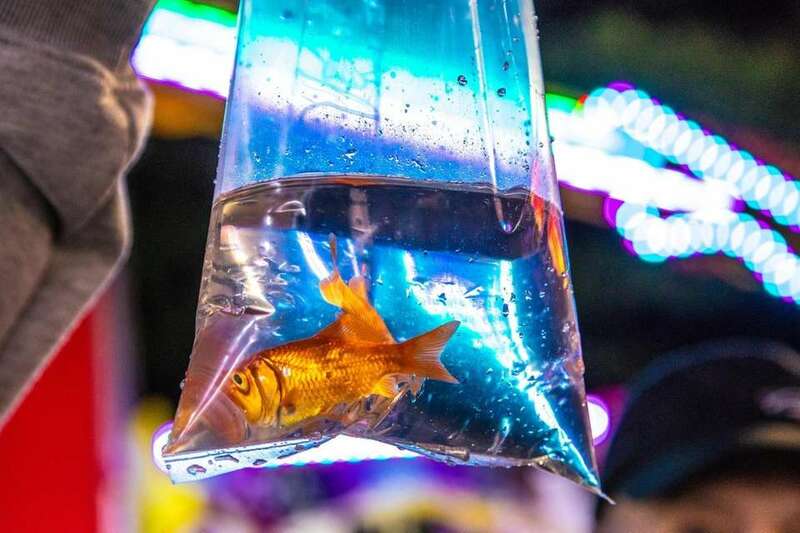 Festivalgoers come to have a good time and win something, like this goldfish, on Friday night. 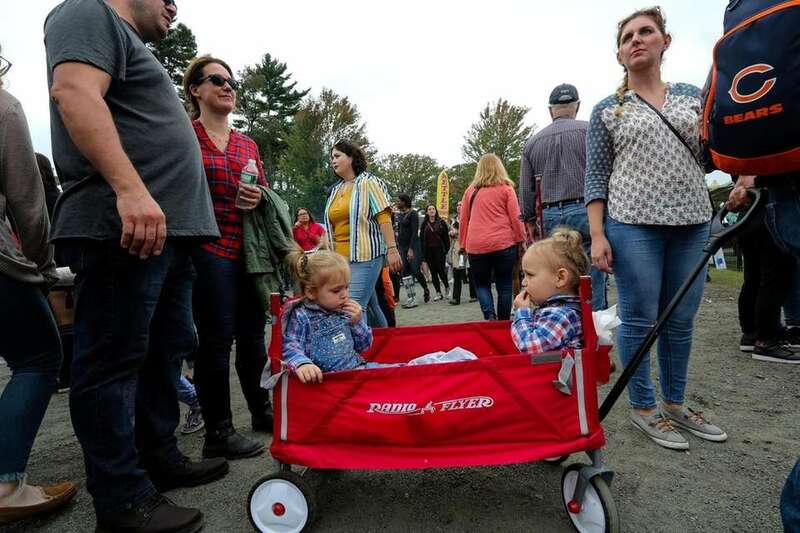 It's hard to stay on your feet in the spinning tunnel at the fall festival. 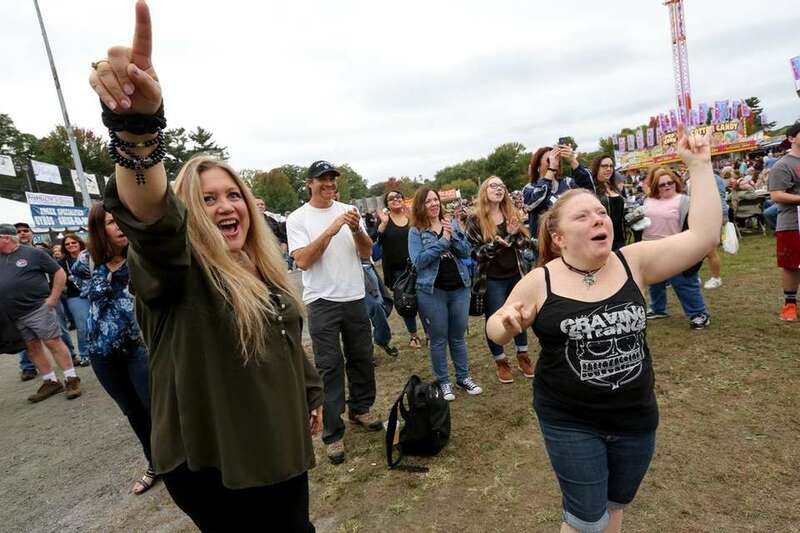 Lisa Pyros, left, and Jenny Payne, dance during the performance of "Craving Strange" on the Carnival Stage at the Long Island Fall Festival on Saturday. 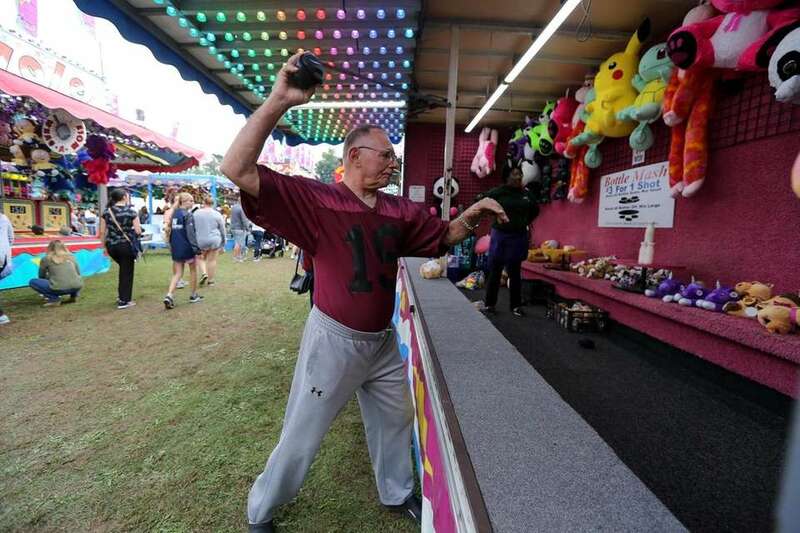 Andy Buczek, from Smithtown, tries to hit targets with a bean bag at "Bottle Mash" at the Long Island Fall Festival on Saturday. 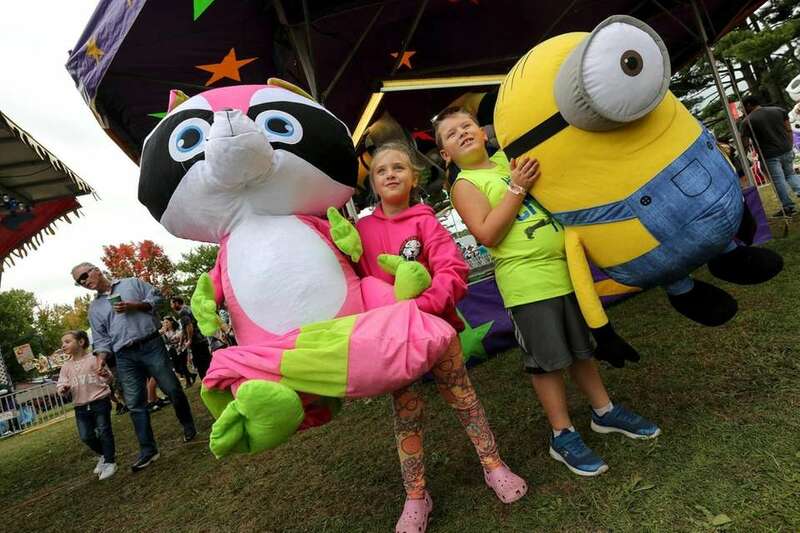 Twins, Zooey and Jacob Kurek, 6, from Dix Hills, show off their prizes at the Long Island Festival, on Saturday. 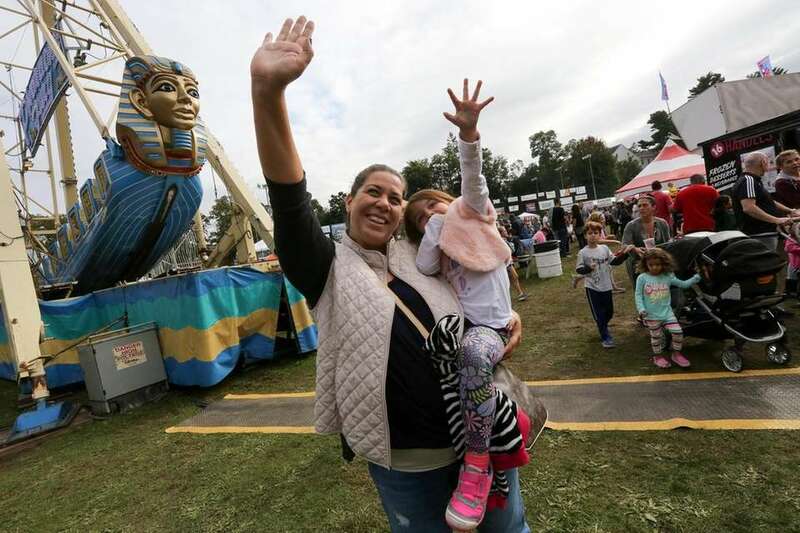 Tracy Aisenbrey, and her daughter, Stephanie, 3, wave to her husband on the ferris wheel at the Long Island Fall Festival on Saturday. 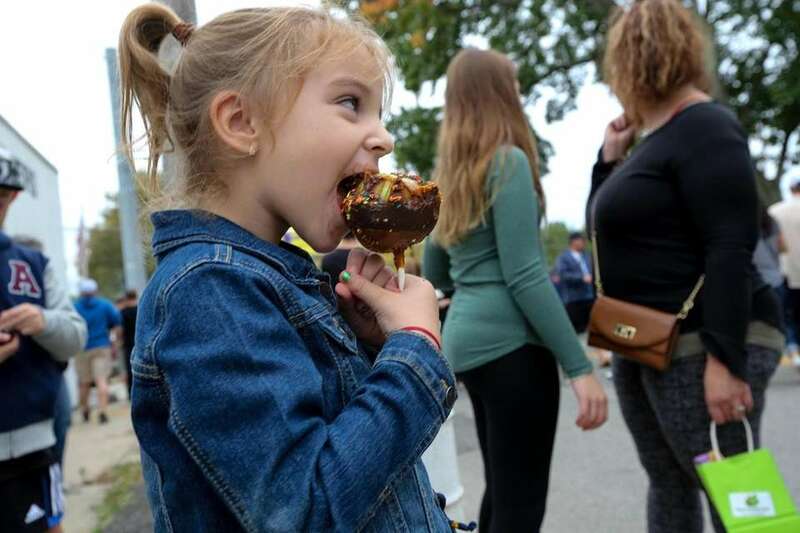 Mia Procaccio, 4, from Wantagh, works on her caramel fudge apple at the Long Island Fall Festival on Saturday. 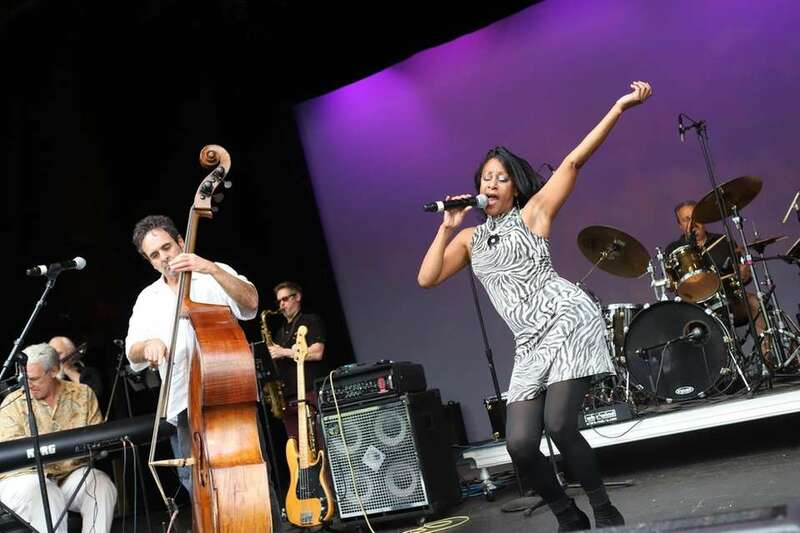 Dawnette Darden performs with the Hoodoo Loungers on the Chapin Rainbow Stage at the Long Island Fall Festival on Satuday. 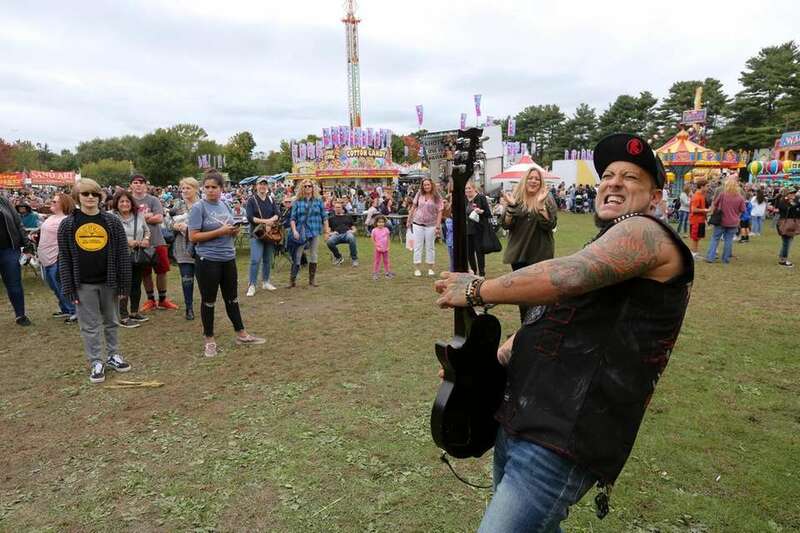 Frank Jr. Guertin, from the band "Craving Strange" performs in front of the Carnival Stage at the Long Island Fall Festival on Saturday. 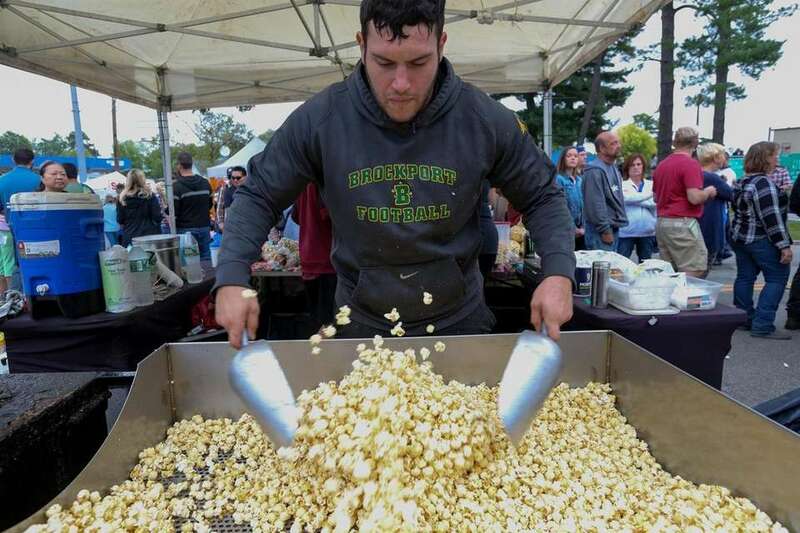 Jeff Scialo makes kettle corn at the Jeff's Kettle Corn stand at the Long Island Fall Festival on Saturday.